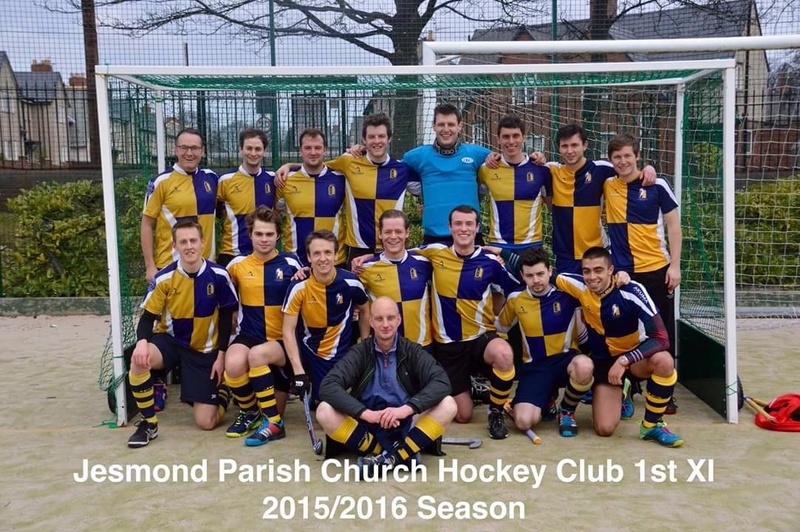 On a beautiful Saturday the men's 1s met for their first home game of the season against Tynedale 1s. After a difficult fixture to end the season last year JPC were eager to settle the score in this game. Sadly, things did not start well as early on as Tynedale scored first after a smart touch and quick shot from their striker led to a one goal lead. However, by the time Tynedale scored again JPC had already scored 6! Robertson and Burnett (making his first start for the men's 1s) in the middle who then found Davison at the top of the D. He saw the onrushing Clarke and threaded the ball through for Dan to collect and coolly finish under the keeper's body, 1-1. The next goal was an unusual one. Davison found the ball around the Tynedale 25 metre line and saw Robertson racing towards the D. He attempted an aerial over the defenders heads, only to find the centre back (who was rivalling even Jonny for gigantism this week) reaching up with a vertical stick and diverting the ball. Sadly for Tynedale this intervention actually caused the ball to fly over his own keepers head, where Robertson made a difficult chance with a waist high shot look easy, JPC led 2-1. The final goal of the first half came after some strong link up play with the CBs baker and Mullen with the midfield 3 of Clarke, Robertson and Burnett. As Robertson charged the D he found his shot blocked by a defender. Burnett was the first to react to the ball and embarrassed the older members of the team by firing a wonderful first time reverse stick shot into the bottom corner. The ghost of Andy Mathers could be seen smiling from a distance land (men's 3s). The starting 15 minutes of the second half saw some of the best attacking play the men's 1s has produced. Firstly Duffy won the ball at LB and quickly played it up to Davison on the left wing. Having committed a defender he squared to the marauding Robertson who excellently picked it up on the reverse side. Committing the keeper he squared it to Allen, who rounded the last defender and smashed the ball into the net, sublime. More solid play saw Dan Clarke win the ball on the half way line before sprinting forward and playing a 1-2 with Davison. Having received the ball again Clarke drew the keeper and defense before sliding the ball into Roberston at the back post. Though his initial shot was blocked the ball fell to him on the rebound to finish and give JPC a 5-1 lead. A 6th goal quickly followed as Clarke won the ball decisively from Tynedales own 16 and smashed the ball across the D to Davison to slap the ball into the net, 6-1. Tynedale eventually managed to grab a goal back at this stage to close the lead to 6-2, at one point causing an injury to Clarke for the second game in a row, this time Dan managing to fight off the tears with his family in attendance, just leaving the pitch briefly to bandage up his face. The game went through a quieter spell, broken only by Nick having the biggest temper tantrum seen since PK was playing for the 1s after a controversial foot decision, and by some groans from the crowd as Duffy attempted an aerial, only for the ball to rise 3 inches off the ground and straight to the Tynedale defender. Craig did at least make amends for this as shortly after he won the ball on the right, sprinted down the line and fired the ball into Davison to round the keeper and slot the ball in on the reverse side. After this JPC did take their foot off the gas slightly and conceded 2 late goal to make the final score 7-4. It was a fantastic all round team performance with Hamish Burnett being awarded player of the match for some outstanding work throughout. 2 matches 2 wins, long may it continue!